It’s something almost every high school student cherishes for a lifetime. It contains pictures, quotes, warm wishes, and heartfelt letters about the future. It enshrines teams, clubs, friends, and families. It can be done thematically, artistically, and stylistically, calling upon a team of hardworking, creative personalities for its construction. It’s a high school yearbook—one of the most important relics from any student’s journey through education. 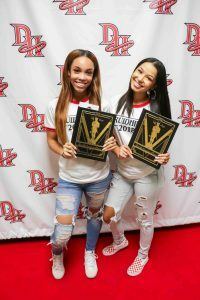 At DeKalb County School District (DCSD), one yearbook—as well as its team of creators—has proven to stand out among many others statewide. 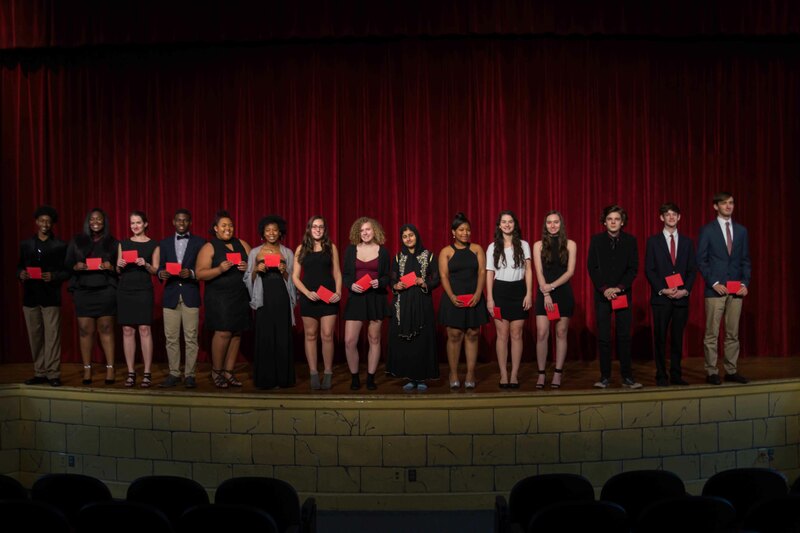 Druid Hills High School’s yearbook, Saga, recently received two superior ratings in two categories from the Georgia Scholastic Press Association. The 2017-2018 yearbook was recognized in the Cover Design category as well as the Theme Development category. According to Druid Hills High English and ESOL teacher Emily Robinson, who also serves as the student advisor for Saga, the award-winning book was the product of about 16 hardworking students. 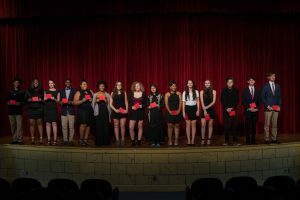 The 2017-2018 Saga yearbook’s award-winning theme was “And the envelope, please…”, an allusion to award ceremonies such as the Academy Awards or Golden Globes. Students who purchased yearbooks received a ticket to a yearbook kickoff event, an envelope containing a list of students for each grade, a gold ribbon, a gold sticker, and more. Robinson credits Saga’s superior rating in Theme Development to the book’s other top-scoring category, Cover Design, and vice versa. Saga’s cover depicts an Oscar-esque statue with devil horns to match Druid Hills’ mascot. The cover of the yearbook is also embossed, black and gold, and designed by a former student who has gone on to study art at the University of Georgia. In other words, it’s a book that is specific to the Druid Hills High School Class of 2018. Despite losing students to dual enrollment, work-based learning, and hectic International Baccalaureate schedules, Robinson claims Druid Hills’ yearbook program is one of the most underrated. She said many interpersonal skills are learned on a daily basis, and that the program helps run picture day on an annual basis. In future years, Robinson hopes to increase the yearbook staff to allow more time for creativity. She hopes to claim more awards—including writing, photography, club photos, and more—very soon.